Andrew Nelson McKissock, adventurer, compositor and trade unionist, was born on 6 December 1872 in Ballarat East, the son of John McKissock, butcher, and Helen, née Rattray. After attending a local school, he was apprenticed to F.W. Niven as a compositor. As a young man, he became deeply interested in the trade union movement. He joined the Typographical Society, and in 1900 became adelegate to the Ballarat Trades and LaborCouncil. He served also in the local ‘Old Third Battalion’ as a non-commissioned officer. In 1896, he travelled to South Africa, and in Johannesburg met up with a group of young adventurers from his home town. They called themselves the ‘Ballarat boys’, and McKissock described them as a ‘happy little family’. Soon after his arrival, with two Ballarat chums, he joined the Matabele Relief Force to put down an insurrection by native tribes in Matabeleland. Marching to Mafeking, by 25 July he had taken part in four engagements. He reported his experience in letters to the Ballarat Courier: ‘It’s a hard game fighting the rebels in the kopjees or hills, for the caves and rocks afford such shelter to the enemy that it is very difficult work to dislodge them’. After the battle of Umlugulu Mountain, which brought about the surrender of the rebels, McKissock received his discharge and returned home. Back in Ballarat, he resumed work as a compositor with local newspapers and printing firms and became increasingly involved in the labour movement. He would serve as president of the Ballarat Trades and Labor Council, chairman of the Eight- Hours Committee, chairman of the Victoria–Riverina branch of the Australian Workers Union (AWU), first president of the Ballarat branch of the Tramways Employees’ Association and president of the first Federated Electrical Trades Union in Australia. He became a foundation member, and then president, of the Progressive Political League of Victoria. In 1907, he ran in the State election as the Labor candidate for the Victorian Legislative Assembly seat of Ballarat West. A self-confessed socialist, he declared (according to the Ballarat Courier) that ‘each success achieved in getting Labor measures placed on the Statute Books was a milestone’. During the campaign McKissock, defending his party’s platform, supported the creation of a department of labour, the legalising of the eight-hours’ system and a minimum wage for all workers. In favour of equal pay for equal work, he believed that ‘a woman with equal capacity and intelligence should be on the same plane as a man’, and supported free education at school and tertiary levels. On old-age pensions, he maintained that ‘old pioneers should not be forced on charity’. Unsuccessful, he tried again at the election for the Legislative Assembly in 1908. This time, he referred to the Labor Party’s support for a tax on the unimproved value of land, and a revision of railway rates (which had been hampering mining and commerce), and promised ‘to restore confidence in the once-famous field of Ballarat’. Elected with a majority of eighty-one votes, in the Assembly he spoke on behalf of the workers, at times referring to his experiences as a printer. He was especially concerned that workers in rural areas received equal consideration with city workers on Wages Boards and advocated that the Saturday half holiday be extended to include rural employees. He spoke on behalf of ‘tram men’, and, in debate on railway construction, he argued that Ballarat should be the ‘distributing centre for inland Victoria’. He suggested that had Ballarat ‘had its rights’ it would have been the federal capital. In 1911, he stood for re-election, but was defeated. Nevertheless, he was reported as being thankful ‘for having got an insight into Parliamentary life’, and considered himself responsible for Ballarat receiving ‘many thousands of pounds’ during his term as a member of the Assembly. He referred in particular to funding for the School of Mines. Joining the staff of Labor’s Evening Echo, McKissock remained politically active and, in June 1914, was selected as a Labor candidate for the Senate for the forthcoming federal election. McKissock stood on Labor’s record, maintaining that the Labor Party was responsible for putting the defence forces of the Commonwealth on a proper footing. Referring to invalid pensions and the maternity bonus, he promised that if the Party were returned it would take measures to assist widows and orphans. McKissock became one of the six Victorian Senators, all of whom represented the Labor Party. Apart from occasional questions on such matters as recruiting, discontinuance of saluting and trading in war medals, he did not take a prominent part in proceedings. In one of his few notable speeches, he vigorously attacked the concept of conscription and the Military Service Referendum Bill, both of which he held to be essentially undemocratic. His speech highlighted the deep cleavage developing within the Labor Party: ‘. . . I never thought to live to see the day . . . when a Labour Government would take the risk of crashing the party on to the rocks as they are doing by means of this measure’. Following the Labor split in November 1916, McKissock remained true to his party. In October, he had stated that ‘it would be as well if the sittings of the Senate were continued . . . until the date of the referendum’. He thought it advisable ‘that the people should have a watchdog, in the form of a majority of the Senate, looking after their interests’. During the subsequent election campaign in 1917, he suggested that nothing could ‘stop the onward march of Labor’. With Hughes’ new Nationalist Party adopting the title of the Win-the-War Party, McKissock, with his Victorian Labor colleagues, Senators Findley and Blakey, sought to convince the electorate that they too would prosecute the war with determination. But Labor’s 1914 electoral advantage was reversed, and all three were defeated. In November 1917, McKissock stood, unsuccessfully, for the Legislative Assembly seat of Ballarat East. In 1918, he was appointed as the Party’s organiser with a particular interest in rural electorates. He died suddenly on 17 July 1919, a casualty of the influenza epidemic. 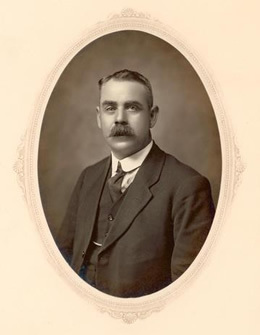 Still active in the labour movement, at the time of his death he was vice-president of the AWU’s Victoria-Riverina branch and, as an AWU organiser, had reactivated the Party’s rural network in 1918. He was also a member of the central executive of the Labor Party’s Victorian branch. A Presbyterian service was held in his home, and another at the North Star Lodge of the Manchester Unity Independent Order of Oddfellows. Over the Trades Hall and the Ballarat City Hall flags flew at half-mast. The Ballarat Courier reported that McKissock’s funeral, as it passed through the town to the New Cemetery, included representatives of Commonwealth, state and municipal bodies. In 1899, he had married Margaret Keay of Ballarat, who, with his two daughters, Dorothy and Elsie, survived him. Referring to him as ‘The Good Comrade’, the Evening Echo wrote: ‘When the Labor cause was betrayed by so many whom it trusted, no one ever raised a doubt as to the attitude of “Andy” McKissock’. Australian Worker (Sydney), 3 May 1917, p. 7; Labor Call (Melbourne), 24 July 1919, p. 10; Ballarat Courier, 13 May 1896, p. 1, 30 May 1896, p. 6, 9 September 1896, p. 3, 8 October 1896, p. 1, 30 January 1897, p. 4. Australian Worker (Sydney), 3 May 1917, p. 7; Ballarat Courier,12 March 1907, p. 7, 18 March 1907, p. 4. Ballarat Courier, 29 December 1908, p. 6; VPD, 17 October 1911, pp. 1869-1870, 14 September 1909, p. 1052, 4 November 1909, p. 2006, 23 November 1910, pp. 2527-2534, 1 December 1910, pp. 2890-2891, 9 December 1909, p. 2937, 16 November 1909, p. 2255, 9 December 1909, pp. 2920-2922; Ballarat Courier,14 November 1911, p. 2, 16 November 1911, p. 4, 17 November 1911, p. 6, 20 November 1911, p. 4. Ballarat Courier, 17 November 1911, p. 6, 16 November 1911, p. 4;Labor Call (Melbourne), 11 June 1914, p. 8; Argus (Melbourne), 4 September 1914, p. 4; Age (Melbourne), 4 September 1914, p. 9; CPD, 3 November 1915, p. 7061, 17 May 1916, p. 7919, 1 September 1916, p. 8407, 22 September 1916, pp. 8928-8932, 3 October 1916, pp. 9215-9219; Age (Melbourne), 1 May 1917, p. 6. Information received from SLV; D. J. Murphy (ed. ), Labor in Politics: the State LaborParties in Australia 1880–1820, QUP, St Lucia, Queensland, 1975, p. 332; Argus (Melbourne), 18 July 1919, p.14; Ballarat Courier, 18 July 1919, p. 11, 21 July 1919, p. 7; Labor Call (Melbourne), 24 July 1919, p. 10. This biography was first published in The Biographical Dictionary of the Australian Senate, vol. 1, 1901-1929, Melbourne University Press, Carlton South, Vic., 2000, pp. 314-316.